We’re all looking for more ways to save money. You’re in desperate need of some quick cash. Maybe you’re overwhelmed and struggling to make ends meet. You’ve got bills to pay and a rent check to write. You’re trying to build a foundation for your financial future. You’re not living paycheck to paycheck but you aren’t making any real progress. You’ve got your finances together but you’re always on the hunt for more ways to save money. 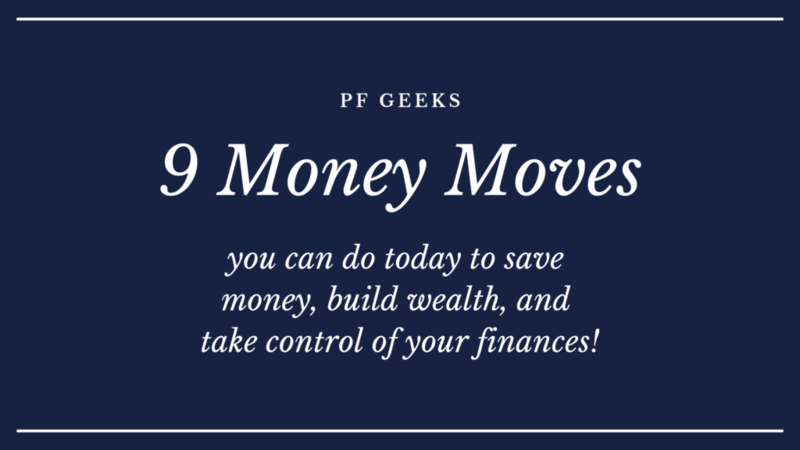 I put together this quick list of 9 money moves you can make today so that you can skyrocket your savings. I promise that if you take action today you’ll walk away with a little more money in your pocket. These 9 money moves will help you make money, save money, or plan a little better for your future. Put one of these ideas into action TODAY and you’ll be thanking yourself a year from now. The absolute best money move you can make today is to make a budget. This is standard money advice that no one actually wants to hear, but it’s what you need to hear. Think about your money in terms of soldiers. The more effectively and efficiently you can manage your army, the better your odds are of winning. Budgeting is the superpower that will help you actually save money, keep track of your finances, and reach all of your financial goals. Trying to pay off debt, buy a house, or save for retirement without any kind of budget is like trying to drive from Texas to New York without a map. Sure, if you drive North & East, you’ll eventually make it there, but it might take twice as long as it should have. Use these guides will help you figure out your monthly income, expenses, and how much you’re able to save to reach your goals! Getting cashback on everything I buy is the easiest way I’ve been able cut my costs.. It takes zero extra effort and I get cashback on almost all of my spending! 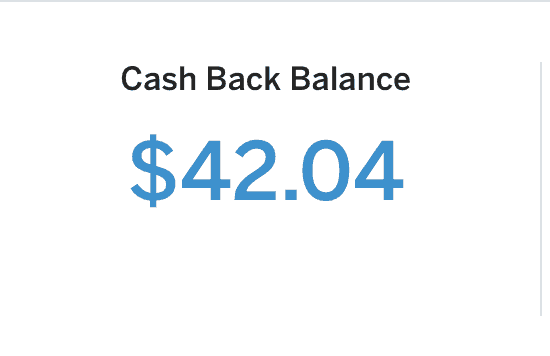 There are tons of cashback apps out there, but my favorite is Ebates. Ebates is a company that has partnerships with thousands of companies and when you shop through their site, in-store, or use the Chrome extension (the best way to use ebates! ), you get cashback on your spending. Their cashback rates range anywhere from 1-10%! One of the best money moves you can make today is to increase the amount of money you’re putting into retirement. Retirement might seem like it is ages away for you, but the best time to start saving is now! The more you save now, the more time it will have to grow. 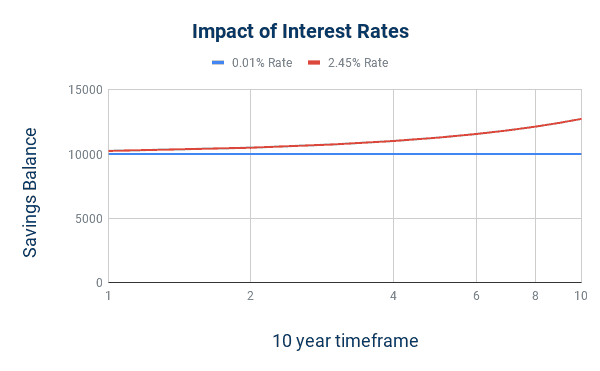 Look, you know that compound interest is that wonder of the world, magical thing that is supposed to make you rich someday. Do you want to wake up in 10 years and be in the same place as you are today? Of course not. So take some freaking action! The only way that compound interest can do the work for you is if you actually have money invested! The more money you can put in today, the faster your nest egg will grow. 401K / 403B: If your employer matches your retirement contributions, then this is 100% where you need to be investing. IRA: If you don’t have an employer sponsored account or your employer doesn’t contribute, then open an IRA. Do you have any idea how much interest your bank is paying you right now? The national average is .08% and most of the “big banks” aren’t even paying close to that in interest. Now if you want to make 200x more in interest, then this is the most important thing you can do today. There are a number of high-yield online banks that will pay you WAY more than the national average. that as the interest you earn compounds, the difference becomes even more clear. These online banks are able to pay way more interest because they don’t have to maintain and staff thousands of brick and mortar locations. They’re able to run a lean, online-only operation that prioritizes the customer. My wife and I just opened an account with CIT bank and have been incredibly impressed with how easy it was to set-up an account and how great their customer service as been already. We’re using this account to run our business out of. Look at the difference this could make over 10 years if you started with $10,000. With $10,000, you could either earn $10 in interest over ten years or $2,739! The choice is yours. CIT bank could be a great spot to store your emergency fund, future downpayment, or any cash you want to set aside for savings goals like a vacation or new car. The Savings Builder account will pay you 2.45% interest as long as you meet the minimum requirements. Just click the picture below to get started making 245x more interest! If you want to improve your financial situation in the next 15 minutes, then this is an easy tip for you. Check your credit score for free and do 1 thing to improve it. I use Credit Karma to track my credit score. It’s free, easy to use, and I never get spammed with promotions. It takes 5 minutes to set up an account. You can easily see what is hurting your credit score and then take action to improve it. There will be some credit score factors that you can’t control, but they should have advice on steps you can take to improve your credit score! The more “credible” you are in the eyes of lenders, the better of an interest rate you can get on everything from students loans to car loans and mortgages. If there’s one thing I’m confident enough to call myself an expert on, it’s balling on a budget when it comes to food. My wife and I used to spend more money on food than we did on rent, but with a few changes we’ve been able to cut our spending by almost half! It all came down to a few key habits and practices. Then you need to download my list of 45+ meal prep recipes you can make for $2 or less a serving! That’s the motto I take when it comes to negotiating. It’s amazing how much money you can save when you realize that you as the customer are valued and necessary to businesses. With the number of options people have today for banking, gym memberships, or cable/cell providers, the customer has more negotiating power than ever before. These companies need you much more than you need them. Use that truth to negotiate your way to big $$ savings. The money move you can make today is calling and negotiating all of your existing subscriptions to a lower rate. The key is to look up what competitors are offering and then to call your current provider, remind them of your loyalty, and ask them to meet the price you want. If you don’t want to negotiate yourself, you can always use a service like Trim to do it for you. They do all the work for you at no cost and they get a small % of any savings they earn you. In an era of blogs, podcasts, youtube, and google, information has become more accessible than ever before. Books are still BY FAR my favorite way to learn and dig deep into an area of interest. Think about your favorite authors. Most of them are industry leaders, experts, and have devoted their life’s work to a certain area of emphasis. And they’ve taken their years of experience, real-life tested knowledge, and compiled them all into a book that you can buy for $10-15. That is the steal of the century. One of the easiest money moves you can make today is installing Honey on your laptop or computer. Honey is a chrome extension that scans the internet for available discounts and sales and applies them to your cart whenever you are shopping online. You’ll earn “gold” that can be redeemed for free gift cards! If you join Honey today, you’ll get a free $5 after you make your first purchase! You don’t have to buy anything special or out of the ordinary–just install the extension on your internet browser and next time you buy something you’ll get $5 for free! If you want to make real progress with your financial situation, it’s time for you to take action today on this money moves! The last thing you want to do is wake up five years from now in the exact same place you are today. Put 1-2 of these ideas into practice and watch how your savings start to grow over time! 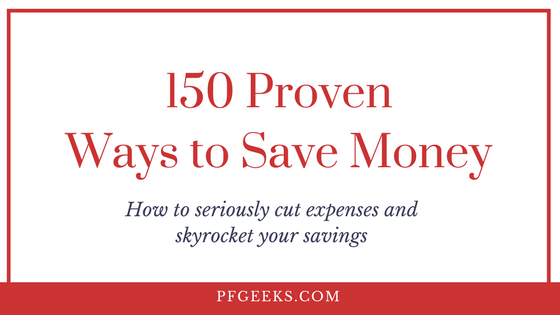 If you want more money saving tips, download my free PDF of 150 Proven Ways to Save Money down below! What’s 1 Money Move you’ve made that has made a big difference on your finances? Hop down in the comments and share it with us! need advice on the best way to start saving for retirement! Be careful using Honey if you’re using any cash back site. Coupons there may mean the cash back site doesn’t get credit, which means you don’t get your cash back. Also, for what it’s worth, Mr. Rebates has rates up to 25% cash back (and a pretty good referral program), so you might want to look into it. Never hurts to comparison shop, eh? This is super good to know! I wasn’t aware that Honey could cancel out other cashback! Checking out Mr. Rebates today!